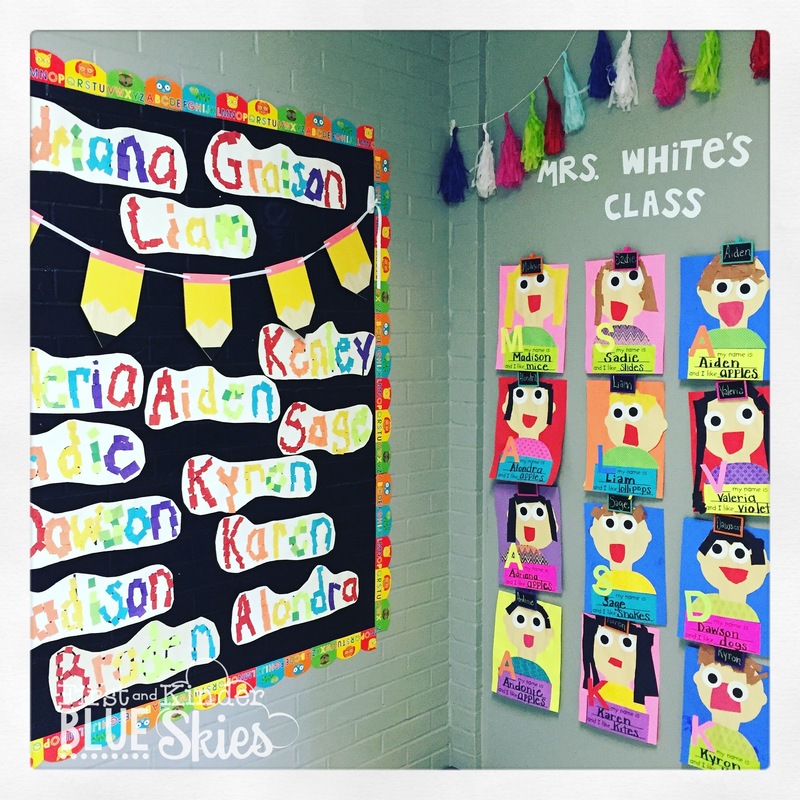 Colorize Your Classroom Contest with Astrobrights: I love using color in my classroom, and everywhere for that matter. I find that my students love it, too. For Open House, I took the simple, but cute route with Astrobrights Papers! Parents and kids loved seeing their names posted on the boards! 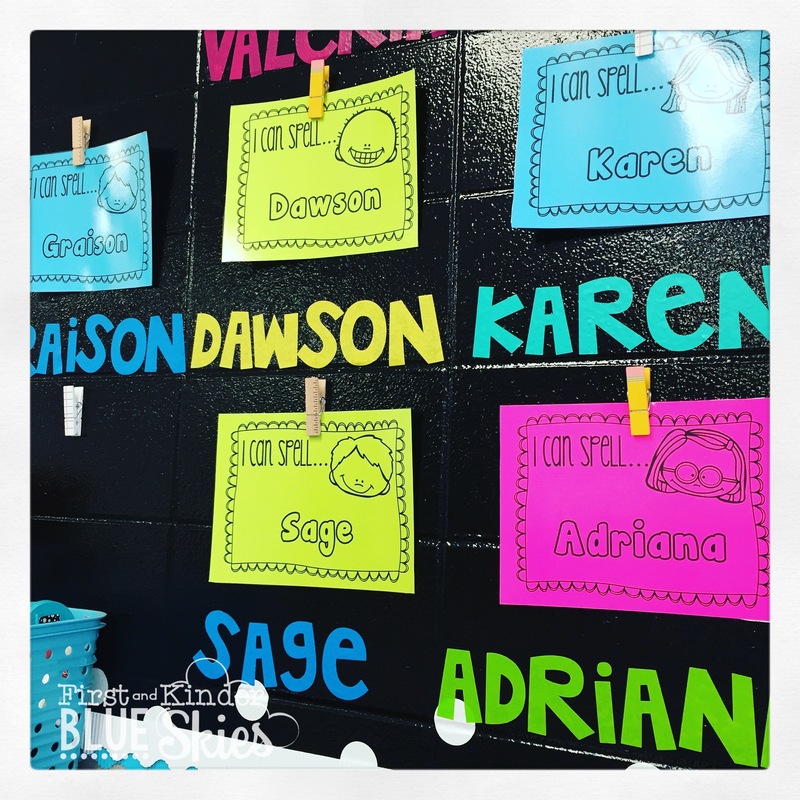 On our first day, my kinders created self portraits and rainbow names! I also found this adorable Astrobrights Welcome Banner at Walmart! 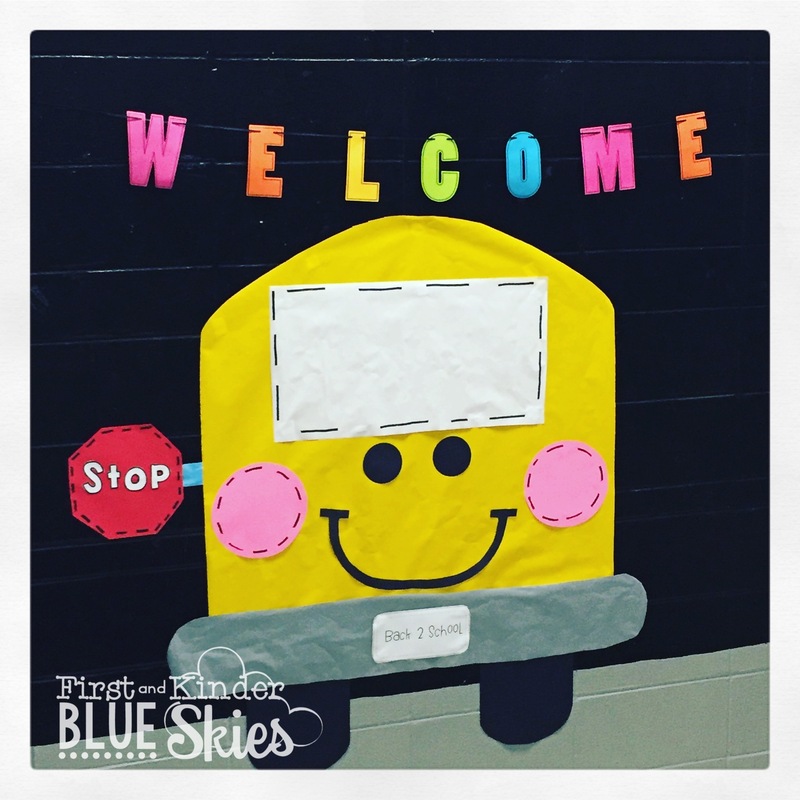 It went well on the black wall with our “Welcome” Bus! I’m excited to announce that one lucky reader will win Astrobrights for their classroom this year! Contest begins today, Sunday, August 21, 2016 and ends Saturday, August 27, 2016. One winner will be chosen and announced Sunday, August 27, 2016 by 8:00pm central on my Facebook page and Instagram account. 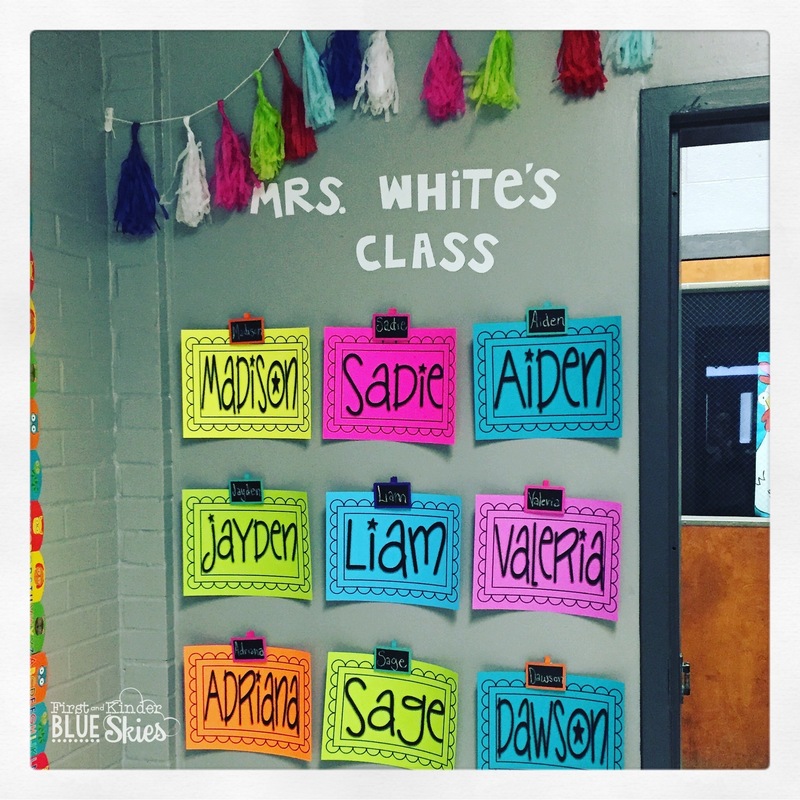 Now that I’ve shown you how I used COLOR to get ready for back-to-school, show ME how you plan to Colorize Your Classroom this year. 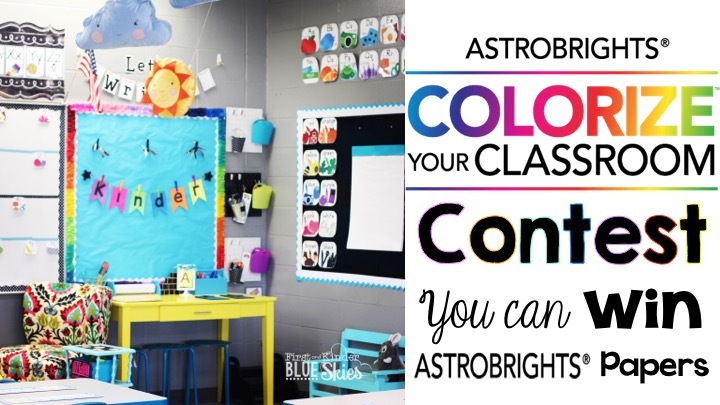 I’m excited to announce that one lucky reader will win Astrobrights Papers for their classroom this year! Follow these simple and easy instructions for your chance to win!! 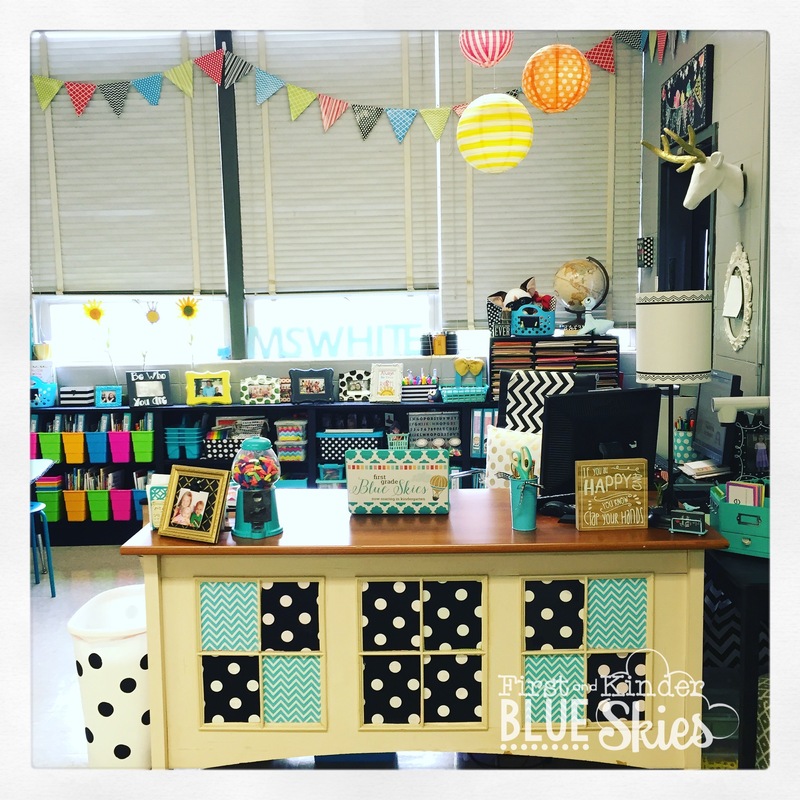 Snap a photo of your Back-to-School ready classroom! Post your picture on your Facebook page (either personal or business) and tag me @firstandkinderblueskies and tag @astrobrights in the photo and/or the caption. That’s all you have to do, easy-peazy lemon squeazy, right?? I cannot wait to see what you guys share! 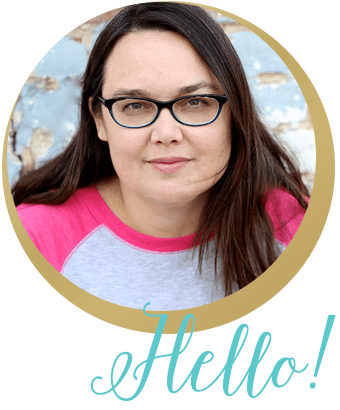 Crossing my fingers for you and hope to see you on Facebook!! In addition, there are four chances to win supplies to Colorize Your Classroom. Be sure to check out each of the Bright Minds’ blogs each week for a new idea on how to Colorize and a new chance to win.